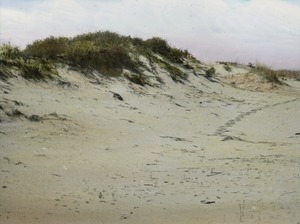 Hutchinson (Kans.) 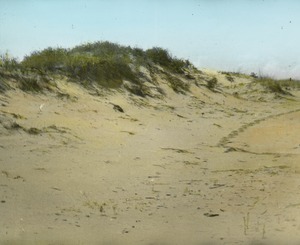 - Hand-colored image of sparse vegetation on sandy soil in sand hills of Kansas. 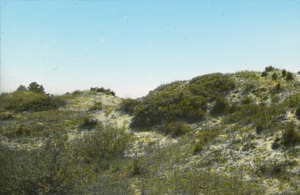 Lindsborg, Kans. 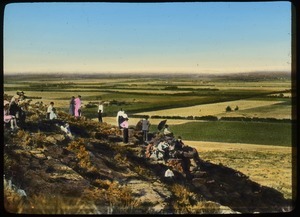 - Hand-colored image of group of tourists atop Coronado Heights, looking over flat landscape. 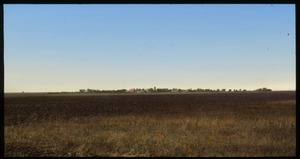 Kansas - Wide-angle view of flat farmland and farm nestled among trees in background.